The Cape Cod Collaborative STAR Program is a public day school supporting students, referred from their home districts, who require a structured program with high levels of support. The Star Program currently supports students with varying needs: cognitive, communication, and behavioral (including autism spectrum disorder); as well as elementary-age students with social-emotional/behavioral disorders. We strive to meet the individual needs of our students, enabling them to reach their potential and aiding in their personal growth. The STAR Program works to support the whole child. The first step to success is providing an environment where all students and families can feel safe and successful. Our main goal: All students will feel safe, successful and motivated to learn. Social-Emotional Learning (SEL) is the process of acquiring and effectively applying the knowledge, attitudes, and skills necessary to recognize and manage emotions; develop care and concern for others; make responsible decisions; establish positive relationships; and handle challenging situations capably. We believe that understanding communication (receptive, expressive, pragmatic language), embedding direct social skills instruction, problem-solving and choice-making skills, all work in tandem to lead to student success. The STAR Program uses positive behavior supports and the principles of Applied Behavior Analysis to support student learning through an understanding that “behavior is communication” and that students should be taught skills that are needed, rather than punished when unable to demonstrate the necessary skills in the moment. Behaviors are derived from a function (e.g. escape, gain attention, gain a tangible, or a sensory need). Students must first learn awareness of their emotions and actions and understand what choices exist before they can adapt their behavior. The STAR Program operates with a Team approach within the school community. All Team members work together in support of students’ needs. Lead Teachers, Paraprofessionals, Board Certified Behavior Analysts (BCBA), Social Worker, School Nurse, Speech Pathologists, Occupational Therapists, Physical Therapists and Program Director work together directly or in consultation to meet students’ needs. STAR classrooms provide support to students who require intensive interventions and individualized programming in a separate setting referred from their sending districts. The program currently supports two general populations of students: those with significant communication and intellectual deficits (e.g. autism spectrum, Down syndrome and other neurological/cognitive disorders) and elementary students with social-emotional/behavioral disorders (e.g. ADHD, trauma-based, bipolar, etc.). Classrooms supporting students with significant communication and intellectual deficits have a focus on communication and behavioral support as an integral component of programming. Understanding “behavior as communication” helps to address the function of a behavior and realizing any environmental interpretations from the student’s perspective. Specialized therapy supports (Speech, Occupational, or Physical Therapy) contribute to the program’s success. The STAR Program works as a transdisciplinary team with the direct collaboration of all STAR Team members: Program Coordinator, BCBA, Social Worker, Nurse, Teachers, Paraprofessionals, Speech Therapists, Occupational Therapists, Physical Therapists, and the Director/Assistant Director of Special Education Programs. 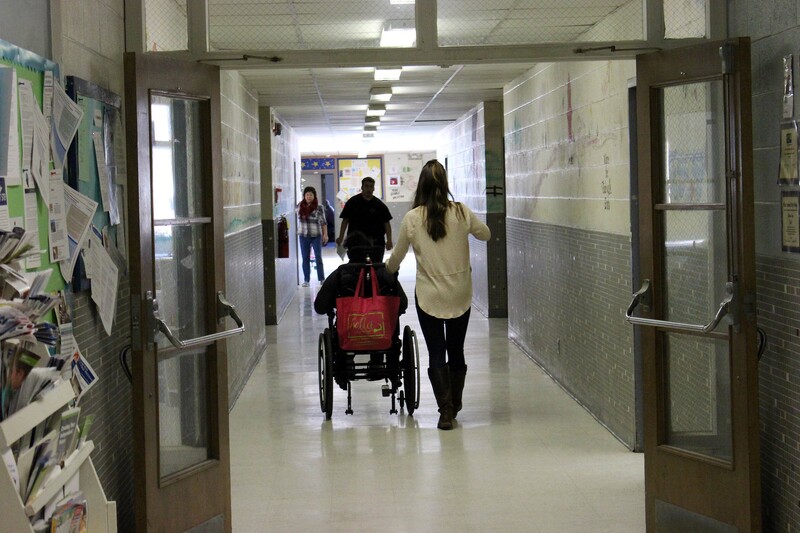 Classroom staff is expected to integrate therapy strategies throughout a student’s day. Students requiring support for expressive communication will receive training in use of PECS (Picture Exchange Communication Systems) and/or other augmentative devices as appropriate to the student (e.g. iPad with specialized app, Dynavox, Tobii, etc.). Switch work for students working at the lowest level of cause and effect may also be integrated. Small class size allows students to learn at their own rate, supported by a high staff-to-student ratio. Academics and vocational skills are modified aimed at increasing attending, organization and independence. Massachusetts Curriculum Frameworks serve as a foundation and all students required (by chronological grade level), participate in the MCAS or MCAS Alternative Assessment. Social skills are supported through direct lessons, participation in school-based activities, community outings, and home/family support. Research supports that a variety of methodologies, especially focused on intensive early instruction can improve a student’s ability to attend and discriminate information around them. Interventions may be implemented 1:1, pairs, small groups, or within large group instruction through a variety of methodologies. These classrooms support students with diagnoses including: ADHD, Bipolar, Asperger Syndrome, Mood Disorder, PTSD, and other emotional or trauma-based needs. There is an understanding that addressing the emotional and behavioral needs of students in a proactive manner will bring about educational success. The program incorporates a framework of positive and supportive school environment. Staff is trained in de-escalation techniques and focuses on helping children develop trusting relationships with peers and adults. Collaboration with community collaterals is incorporated to support home/school communication.